Oklahoma is not a “battleground” state when it comes to Presidential politics. We know who is going to win our electoral votes, and it won’t be the Kenyan Socialist. But, even though our presidential politics are very predictable, there is a political question in our state that is hotly contested and which is fundamental to our future. The question is how our state government will facilitate Oklahoma’s development as an integral part of the global economy. Will our governor and legislature promote Oklahoma as a place where international commerce and investment is welcomed, where the rich cultural diversity of our people is honored, and where international law and global institutions are respected? Or, will they hew to an insular path — where narrow, parochial interests are embraced and global engagement is scorned? This is an important, consequential issue for our state. 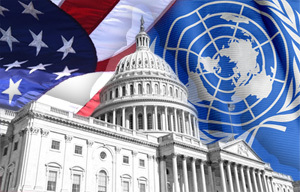 The shape of this contest can be seen in various expressions of public opinion — especially in the way our state government has formulated its official attitude toward the United Nations. The recent history of our state in this regard is mixed. In 2009, our Legislature marked the UN as a target of official discredit. The State Senate concurred with a House resolution opposing U.S. ratification of the Convention on the Rights of the Child. The resolution relied on fear tactics to suggest (falsely) that the United Nations would take over the State of Oklahoma’s budgetary process. The resolution had no substantive effect on the public policy of our state. But, it served notice of a new, combative stance toward the United Nations. The demonization of the United Nations continued in the 2012 legislative session when another resolution was introduced in the Oklahoma House of Representatives. This one called for the United States to withdraw completely from the United Nations. The resolution got a “do pass” recommendation from a House committee before it ultimately fell by the wayside. In some other respects, Oklahoma has a proud history of supporting global engagement in general and the United Nations in particular. For example, Governor Henry routinely signed a UN Day Proclamation, and he made honorary appointments of prominent Oklahomans to “chair” our state’s observance of United Nations Day. (See Gov. Henry’s 2006 proclamation … HERE). Last year, Gov. Fallin continued the tradition of issuing a UN Day Proclamation. Her 2011 statement about UN Day recalled the legacy of Ambassador Jeane Kirkpatrick, our nation’s first female ambassador to the United Nations (and a native of our great state). This year, however, we have been notified by the Governor’s office that a 2012 UN Day Proclamation will not be forthcoming. Evidently, Gov. Fallin received some pushback from the Anti-UN Crowd — the small group of people in our state who have an irrational fear of the United Nations as an enemy of America. Never mind that the Governor signed a proclamation last year. Never mind that 12 American Presidents, Democrats and Republicans alike, have reaffirmed our country’s support of the United Nations. This year, Gov. Fallin is listening to the small minority of Oklahomans who prefer to run away from the big, bad United Nations. We haven’t had a chance to visit with Gov. Fallin about her decision. So, I don’t want to comment on her thinking or her motives. All we know is that last year she was willing to express official support for the celebration of United Nations Day. This year, she is not. It is more evidence of the contest in which we are engaged here in the Sooner State. 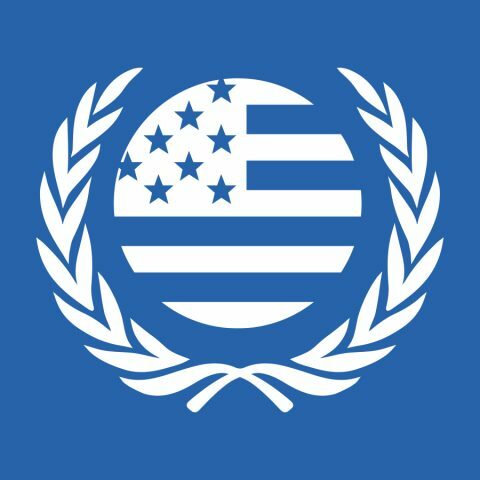 The United Nations Association of the USA is a national membership organization that is dedicated to informing, inspiring, and mobilizing the American people to support the ideals and vital work of the United Nations. Please join our efforts. … and you’ll be welcome to join us on Saturday, October 20th. Look for the Free Ticket offer, and you can sign up to enjoy an informative program and a pleasant meal. We hope to see you there! The United Nations Association of Oklahoma City is a not-for-profit, nonpartisan organization that supports American leadership in the United Nations and encourages active civic participation in the most important social and economic issues facing the world today.